Using security technology for non-security purposes such as data gathering and business management is tipped to be one of the growing trends for 2015. Could you benefit from adding a little BI to tenders? 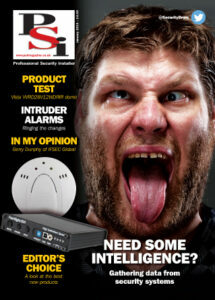 Also we look at the evolution of intruder alarms and the popularity of accessing security systems on the move.